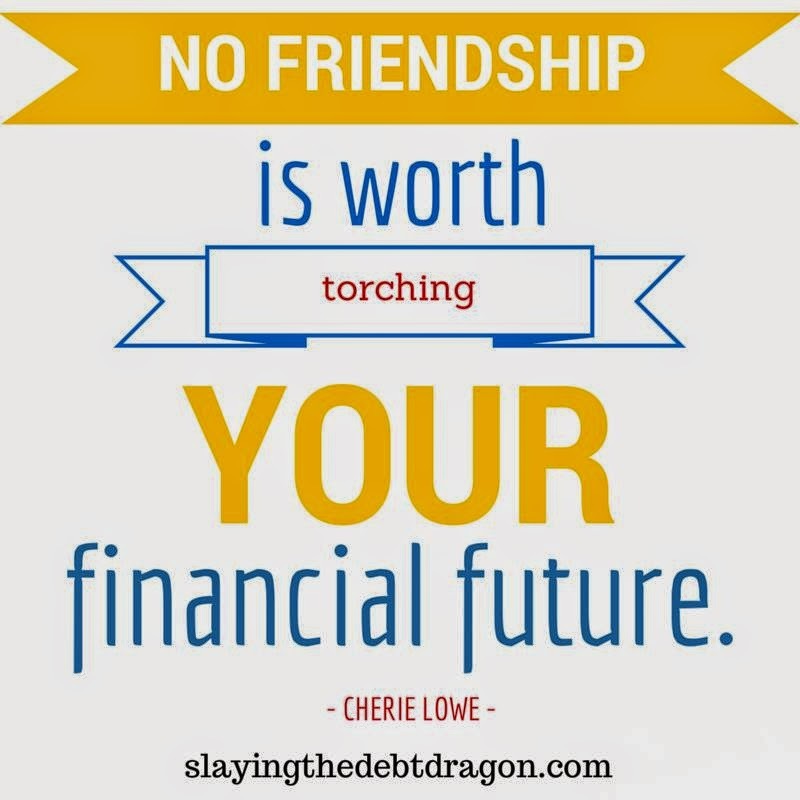 I've been reading "Slaying the Debt Dragon" by Cherie Lowe. As part of her launch team, I am also privvy to some images and tweets that she asks us to share. And sometimes those things really hit me upside the head! This was one of them - this is something I can very much relate to on many levels. As a kid, we had money struggles. It was just me and my mom. But new clothes weren't part of my growing up. Buying anything I wanted at the grocery store wasn't part of my growing up. Attending birthday parties or school skating parties weren't part of my growing up. We had to sacrifice some of the fun things because it wasn't in the budget. And that often left me feeling less than. And that carried over into adulthood. And I found myself comparing what I had to what other people had and feeling like I needed to "keep up with the Joneses" in order to appear as normal as possible. Pride made it impossible to admit that I couldn't afford a night out at a restaurant with friends because I needed to make it to my next payday in 3 days. I think about the friends I've had and the self imposed pride based choices I made and I also think about my friends now and how they see me and how I see them. If a friend said to me... I can't go because I just really can't afford it... I would respect that. Because I've been there. And if I can afford to cover my friend, I will do so. Because I wouldn't want anyone to ever feel like they need to torch their financial future in order to be friends with me. Or to feel any sense of pressure to spend a certain way to buy certain things in order to be friends with me. There is a section in Cherie's book - "Formidable Foes and Fellow Debt Slayers" - that has been speaking to my heart. It has a lot of practical advice whether you are dealing with debt or just seeking some good advice for life in general. For example, do you find yourself comparing your life to what you perceive about others? "Everyone else..." In the book, Cherie says "It helps to remember that we see only the parts we want for ourselves." Wow! Yes! I hear people complain often about people being "fake" on Facebook, only sharing the good parts of life. Is it that others only share overly good stuff? Or is it that we are sensitive to seeing the things we think we are lacking? 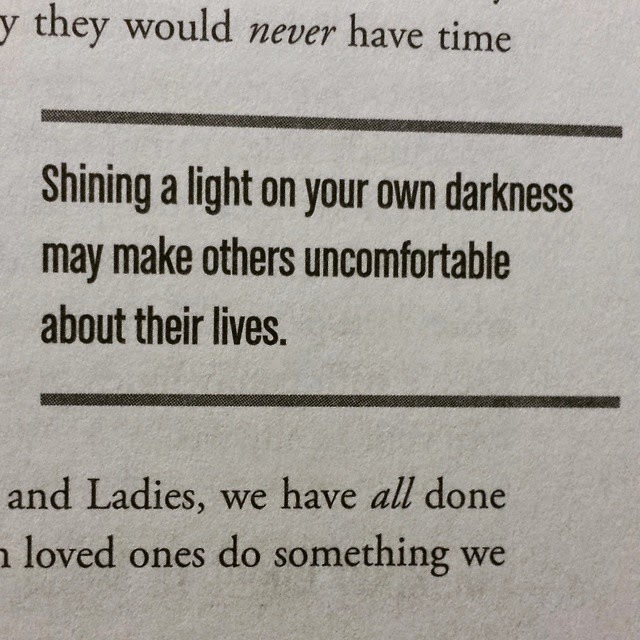 When we start to get real about our problems... we might find that others back off, step away, or maybe even get a little mean because they see what they don't want to see about themselves in us. I will freely admit that my owned green eyed monster (jealousy) has come out in the past when I've seen people posting and being excited about losing weight and running and being healthy. It's something I've done well in the past but is an ongoing struggle. When I see others succeeding, I have to admit my own failure in that area. Maybe part of maturity is simply being able to find joy in someone else's happiness or accomplishments without turning it into something about me. And maybe when we realize that, we can start to really take control of the important things on each of our unique journeys. This used to be such a problem for me, maybe for the same reasons. We didn't have a lot growing up and I constantly felt left out. In order to compensate for the feeling, I started wanted (and trying to get) what "everyone else" had. It's getting better.